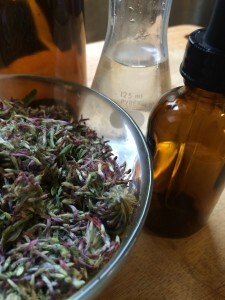 Essential Herbalism is a 10-month herb apprenticeship that meets the second Saturday of every month from February to November. Enrolled students are introduced to the foundations of herbal medicine through hands-on lectures and class discussions. 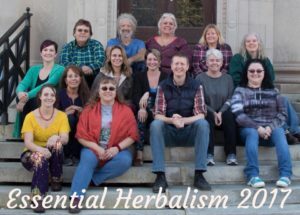 Each class will focus on herbal preparations and ideal herbs, along with special topics like plant identification, wildcrafting, scope of practice, essential oils, plant energetics, healing foods, etc. 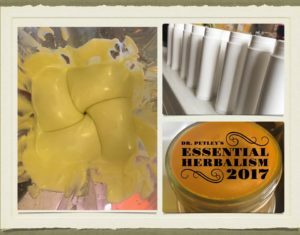 The cost of Essential Herbalism (Year One) is $2000. For details, see Tuition. 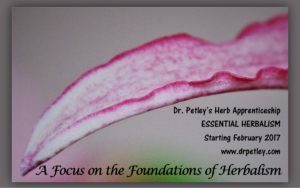 Specific topics in Essential Herbalism: foundations of herbalism, herbalist heal thyself, doctrine of signatures, plant ID/wildcrafting/botany, history of herbalism, herbal definitions, scope of practice for the herbalist, water extracts (including syrups, poultices, and compresses), oil extracts (including bath and massage oils, salves and creams), alcohol extracts (including liniments, acetracts, and glycerites), essential oils (including aromatherapy, uses, and blending), herbal first aid, topical herbal preparations, flower essences, and plant energetics. Students will be expected to grow two herbs from seed to harvest and make two medicines from each, as well as create their own materia medica of these two plants. Students will also be expected to reproduce herbal projects from class. Throughout the program, students will go on weed walks at various locations around Central Maine. Out side reading, homework, and projects are expected between classes so the student not only learns in class but practices the art of herbalism. This may take an estimated 3-5 hours per week. Although there are no required books for the program, students will be encouraged to purchase a few herbal texts (see below) to enhance their apprenticeship experience. Other expenses include various herbs and ingredients for home projects. Dr. Petley will help organize bulk sales for books and ingredients, when available. Students can expect monthly costs to be $25+ depending on what they have available, what they choose to wildcraft, etc. 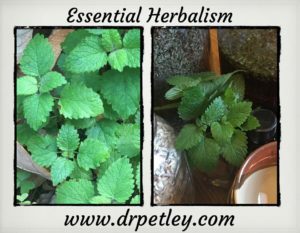 There are three key books that will be used throughout Essential Herbalism. These include The Herbal Medicine Maker’s Handbook (James Green), Herbal Recipes for Vibrant Health (Rosemary Gladstar), and Medical Herbalism (David Hoffmann). These are available through Dr. Petley (while supplies last) at a discounted rate or online from your favorite bookseller.